Two years. It's been two years today since my Momma went home to Jesus. I keep thinking that it is supposed to be easier by now - and I suppose in some ways it is. But I wonder if I will get over wanting to talk to her, have her hold my hand. Nope. The longing is still here. I am sure it always will be. This photo was taken the Thanksgiving of 2013. Almost two months to the day before she passed away. My mom is in red, I am in the middle and my sister Laurie is closest to the window. This is one of my favorite photos. Me, squished between my mom and my sister who cares for me like my Mama would have. 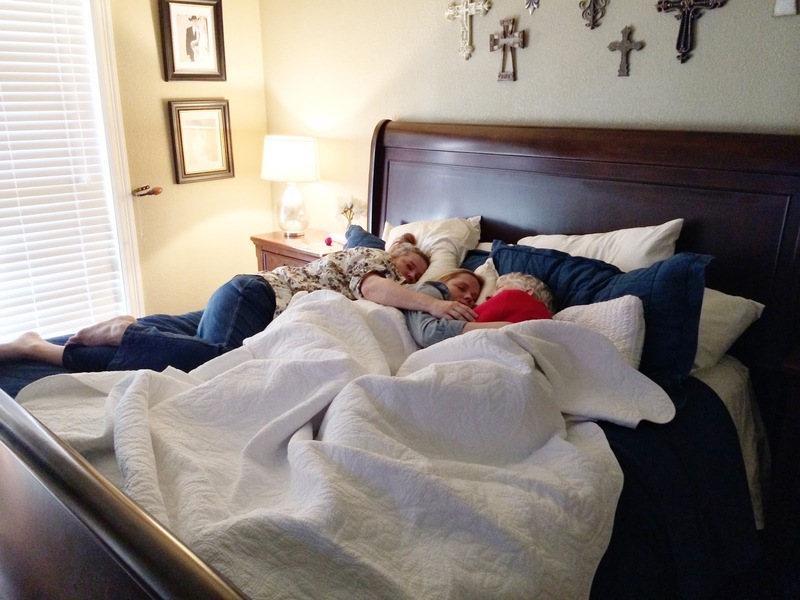 Mom had become exhausted during Thanksgiving, so we helped her into my bed. I curled up with her and then my sister Laurie curled beside me, just as she would do when I was little. I am so incredibly thankful that I found scrapbooking. I have so many 'random' photos like this - snapshots that I have to remember the love when I cannot physically have my mom with me. This moment would have slipped away, probably gone unnoticed if not for my love of documenting my family. Have a blessed day friends. Love on those around you - tomorrow isn't always guaranteed.